Television New Zealand will ban its political journalists from belonging to political parties and make general news staff disclose any party membership. The move follows a recommendation from its investigation into Shane Taurima, who resigned as head of its Maori and Pacific Unit after it emerged he had hosted Labour Party meetings at TVNZ offices. The investigation found no evidence of political bias in programmes Mr Taurima was involved in. However, it found TVNZ resources were used inappropriately for Labour Party political purposes by Mr Taurima and three members of his staff - none of whom were still employed by TVNZ. 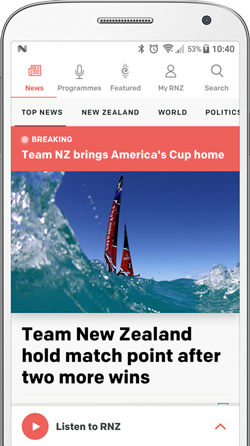 It found a meeting room at TVNZ was used to hold a Labour Party meeting, and that TVNZ travel, email and telephone accounts were used to conduct Labour Party business. It also found Mr Taurima was involved in extensive political activity soon after his return to TVNZ from his failed bid for Labour's Ikaroa Rawhiti candidacy, and up until his resignation. Mr Taurima breached TVNZ's policy on conflicts of interest but the broadcaster could have done more to inquire further about his activities, it found. 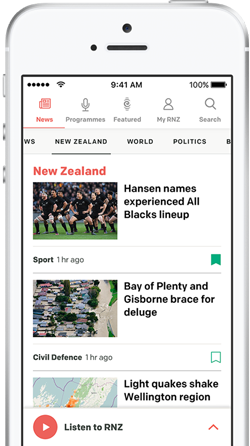 TVNZ chief executive Kevin Kenrick said the broadcaster planned to implement a ban on political membership for political reporters, despite no bias being found. "There's been a lot of speculation and questions about the impartiality of our news, and that's the area that we're concerned about," Mr Kenrick said. "So whether it occurred or not, the fact that the questions are being asked is a major issue for us as a news organisation." Staff would not be asked who they voted for but anyone who reported, edited or produced political content was expected to be upfront with TVNZ over whether they were a member of a political party, Mr Kenrick said. What had happened was "completely unacceptable", he said. "It's an absolute necessity for our news and current affairs service to operate free from political influence. "I accept that there were shortcomings in our management of Shane when he returned to TVNZ, and that won't happen again." Broadcasting Minister Craig Foss said he supported TVNZ's move to ban its political journalists from joining political parties. "They are required ... under the Broadcasting Act to maintain balance but they also need to manage any perceptions of conflicts of interest, such as political bias," Mr Foss said. "So the chair has told me they'll be picking up those recommendations in the report." The public needed to know broadcasters were offering fair and balanced reporting, he said. Mr Taurima on Monday confirmed he would seek the seek the Labour candidacy in Tamaki Makaurau. He said in a statement the report had removed any doubts around his journalistic integrity and independence. Labour Party leader David Cunliffe said he expected the party's governing council to meet within the next 24 hours to consider the report. "There are some serious issues for the council to consider. I'll be reading that report very carefully and giving my clear views to the council." However, whether or not Mr Taurima was selected was a matter for the council, Mr Cunliffe said.